Gloucester: The Thomas E. Lannon schooner, captained by Tom Ellis, leads the race for its class during the Annual Schooner Festival Mayor's Race held off of Gloucester on Sunday morning. The Lannon finished in first place for the first time in 12 years. 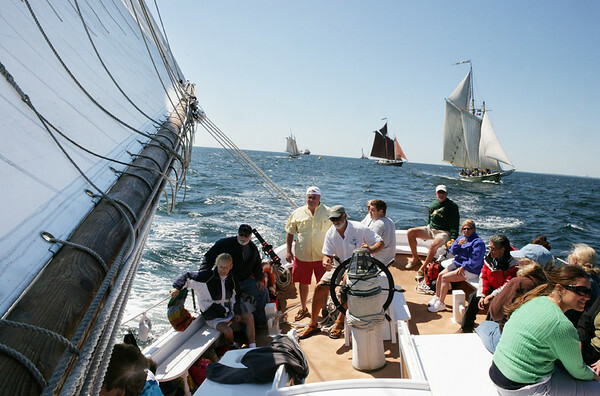 , Gloucester: The Thomas E. Lannon schooner, captained by Tom Ellis, leads the race for its class during the Annual Schooner Festival Mayor's Race held off of Gloucester on Sunday morning. The Lannon finished in first place for the first time in 12 years.